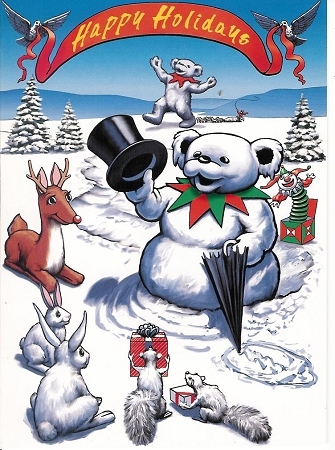 Everyone knows what a snowman looks like, but only deadheads will recognize the snowbear. This greeting card is blank inside for your own personal message. Send this holiday greeting card to friends and family. perfect for your favorite deadhead. Officially licensed by Grateful Dead Merchandising.